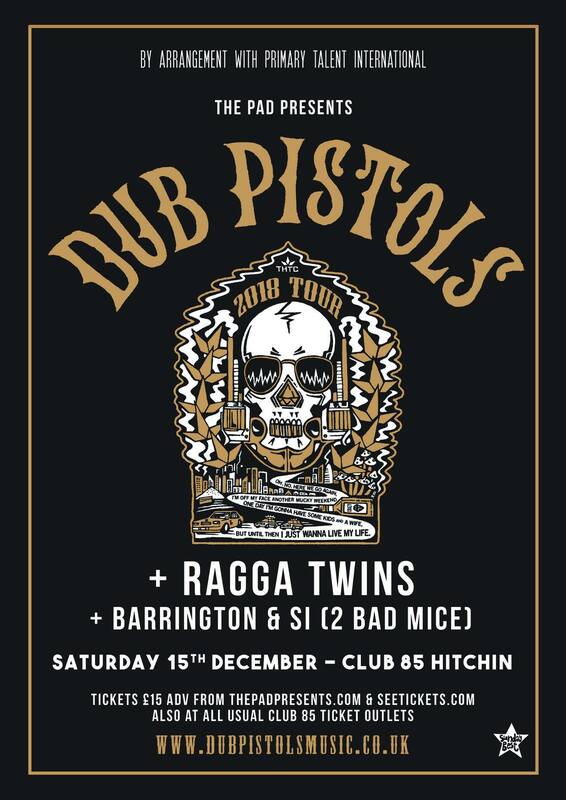 The finest band in the land, the king of parties and the original Pistoleros are returning for their annual sold out Xmas party here at Barry’s local venue Club 85 on 15th December! Our headline band at Bedford River Festival for all those reasons above, there is still nothing like an up close and personal Dub Pistols show, feeling the bass going straight through your tummy. Full support line up TBC! 16+ with photo ID – younger patrons can be signed in at the door and accompanied for the duration of the show by a responsible adult.